Promo period is extended until April 30, 2019. 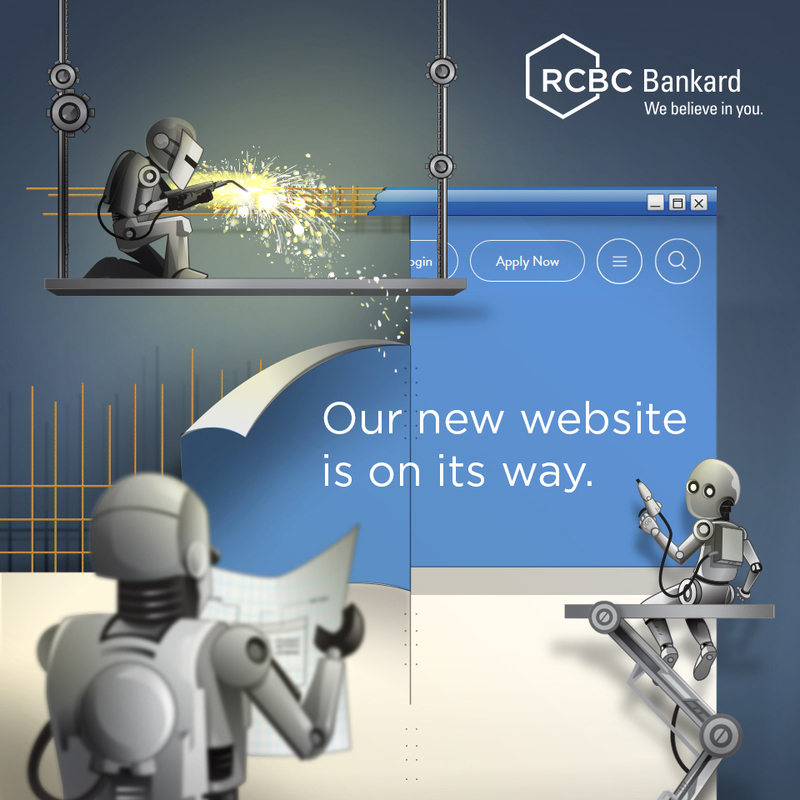 Promo is open to all RCBC Bankard Mastercard and Visa cardholders whose accounts are active, current and in good credit standing. 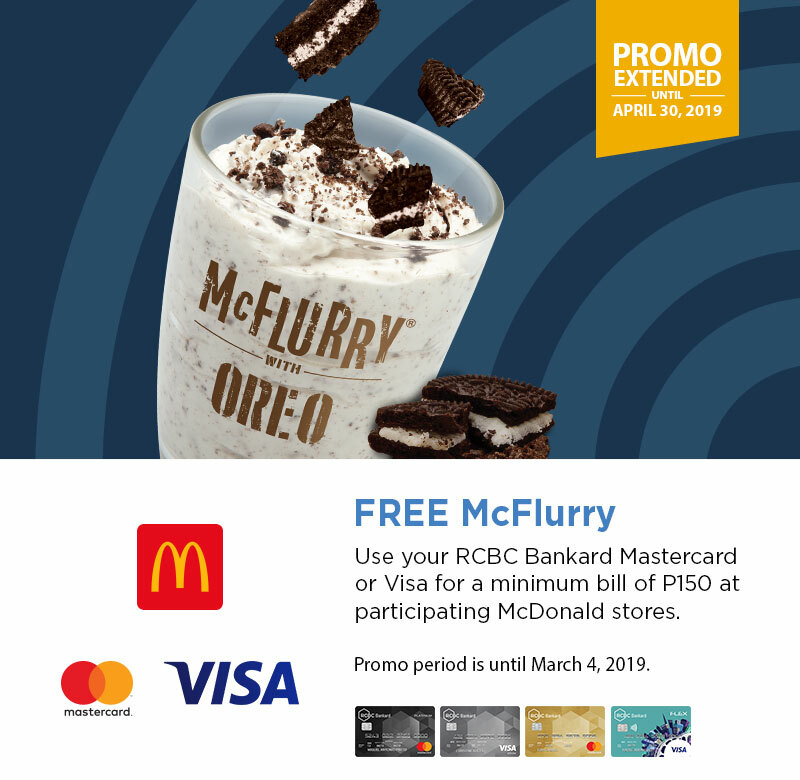 Qualified cardholders will get a free McFlurry for a minimum single-receipt purchase of P150 worth of any a la carte food and beverages, meals or bundle items in participating McDonald’s stores nationwide. 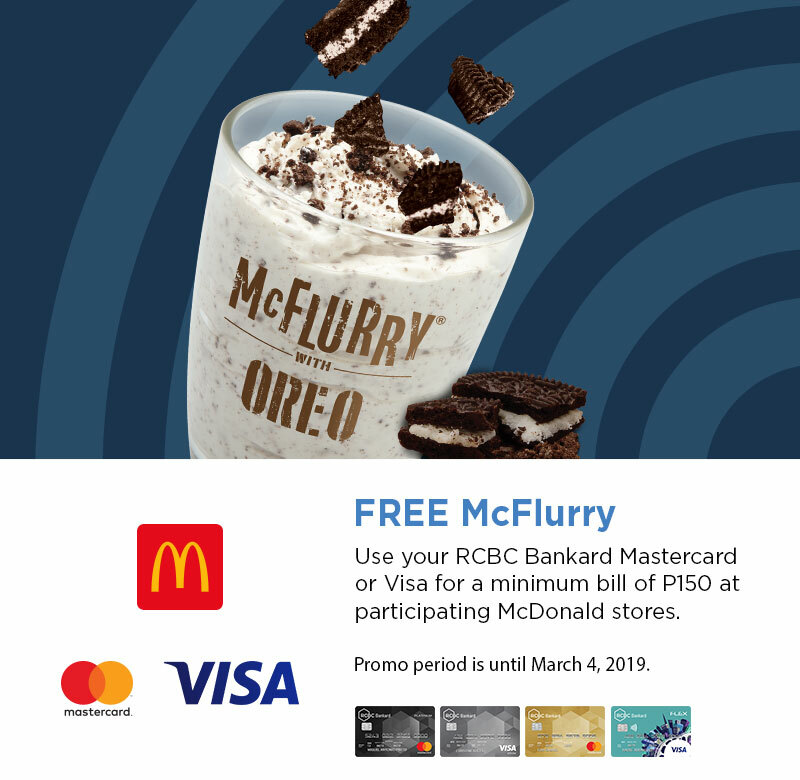 Only redeemable at the Front Counter in participating McDonald’s stores accepting Mastercard and Visa card payments. Not available at the Self-Ordering Kiosk, Take-Out Counters, Dessert Centers and Kiosks, and via Drive-Thru and McDelivery. Only one (1) McFlurry redeemable for every successful transaction. Only one free item per minimum Php 150 transaction, regardless of total amount spent. Promo applicable to McFlurry with Oreo, McFlurry with Milo, and McFlurry with Oreo Matcha. For McFlurry with OreoMatcha, redemption will only be until February15, 2019. See list of participating stores here.